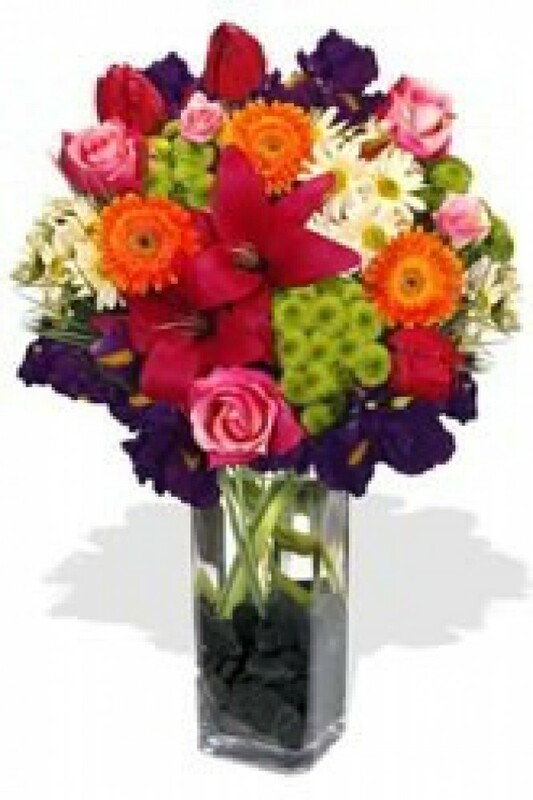 Can't decide on what flowers you would like to send? You can't go wrong with this generous and colourful bundle of Chrysanthemums, Gerberas, Sims, Roses, Iris and more! With its diversity and exuberance, it is uniquely suited to the undecided.